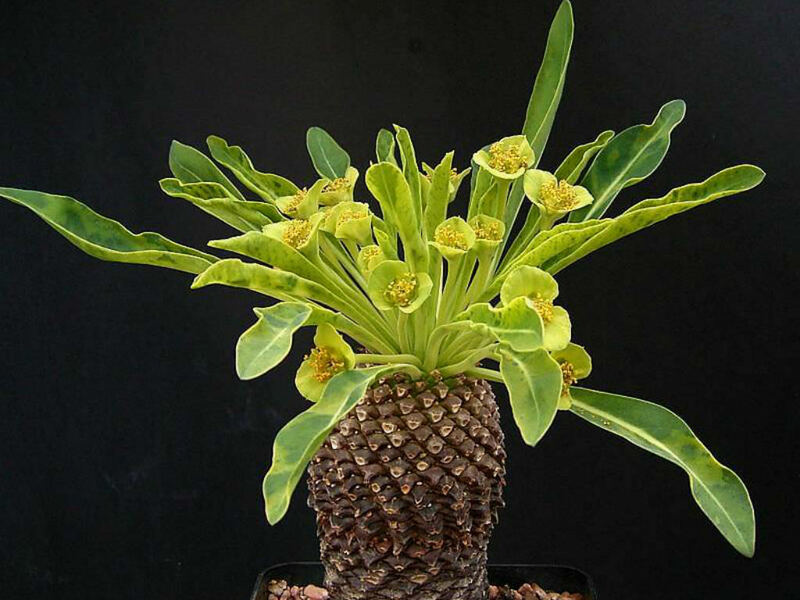 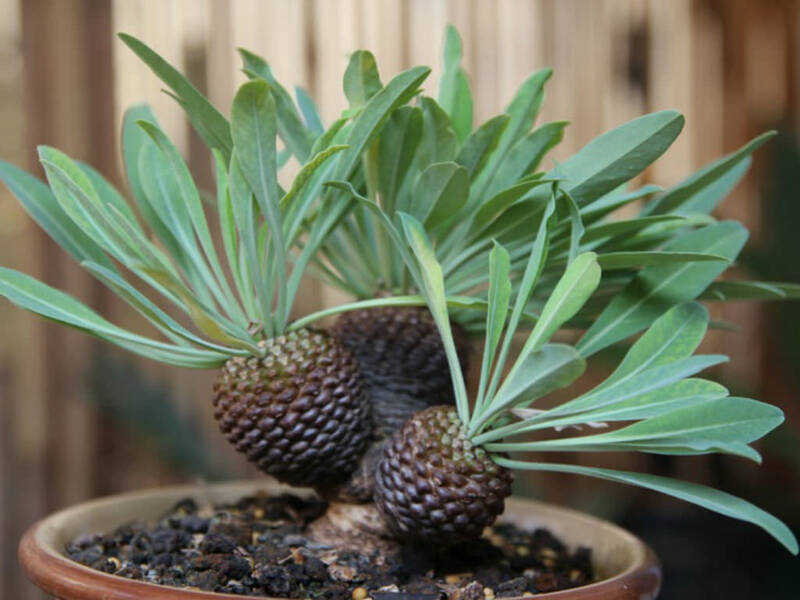 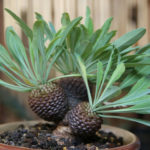 Euphorbia bupleurifolia is a caudiciform Euphorbia that develops a fat caudex topped with a tuft of long leaves. 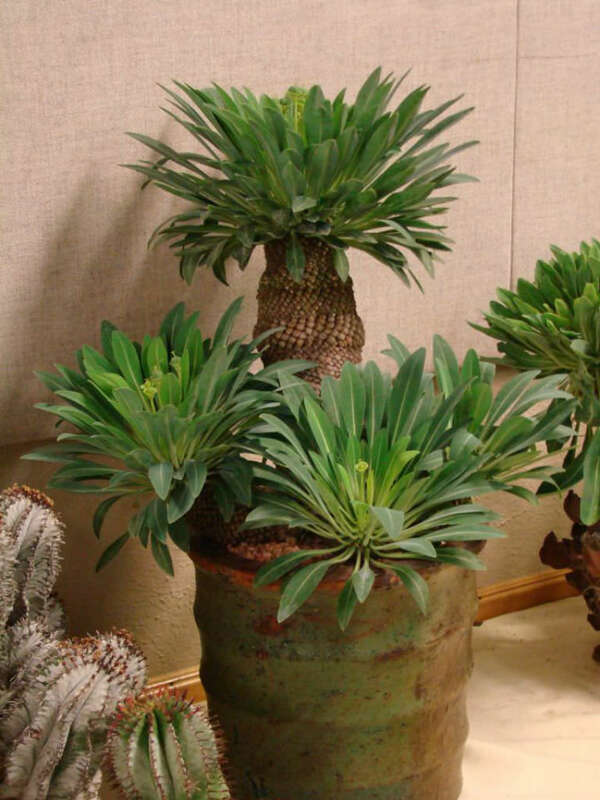 Stem has spirally arranged tubercles that are reminiscent of a pineapple with long slender leaves at the growing tip. 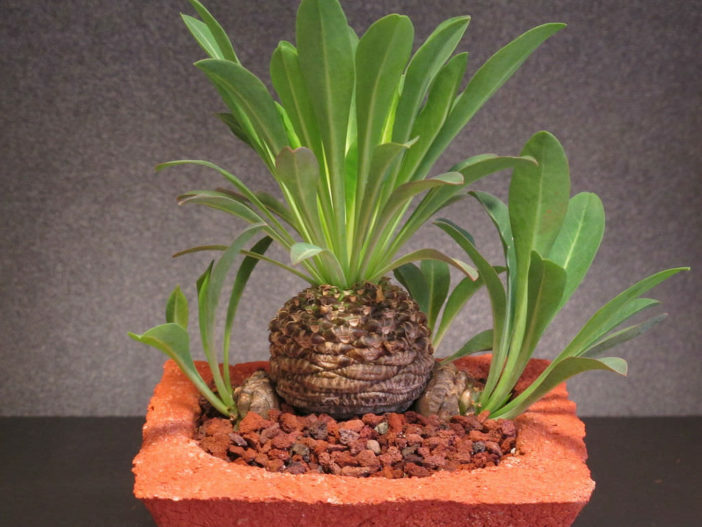 The stem usually does not grow much higher than 8 inches (20 cm) and 3 inches (7.5 cm) thick. 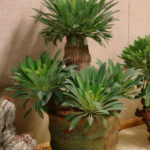 Leaves are elliptic and green in color. 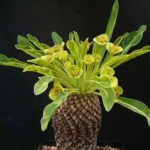 Flower are yellow-green with 2 petals.